AF Series cartridges are double-open end cartridges that fit standard residential and industrial housings. Cartridges are available in 2-1/2" and 4-1/2" diameters and 5", 10" and 20" lengths. Using premium Resintech media and offering oversized cartridge cavities, AF Series cartridges provide the best in water purification and filtration. General-purpose coal-based granular activated carbon. Standard grade for low pressure and minimum fines. Available as dry or premoistened (dust free) and as standard or acid washed. 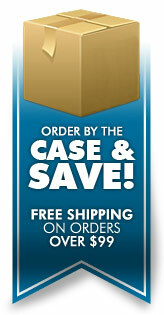 Orders over $99 receive free UPS ground shipping in the continental U.S. (excluding Alaska). Exceptions exist, and additional freight charges will apply for some low priced, drop shipped items from Canada and for addresses that carry accessorial UPS charges, such as certain island destinations that require ferry service and other remote locations. We will notify you of any additional amount before it is charged. For orders between $1 - $59, a flat shipping rate of $9.75 applies for UPS ground service. For orders between $60 - $98, a flat shipping rate of $6.00 applies for UPS ground service. Next Day Air, 2nd Day Air & 3-Day Select delivery services are available at an additional cost. We ship in stock items on the next business day in most cases. UPS Next Day Air and 2nd Day Air orders received before 3:00 pm Eastern Time can be shipped the same day, if ordered by phone and a request is made to expedite the order. Please allow up to 10 business days, starting with the next business day after your order was placed, for delivery. Many orders will be received in less time. Back-ordered items may require extra time. Should any items in your order be delayed, we will contact you. If we can not deliver your order in this time frame, the order may be canceled prior to shipment, and a full refund will be credited. Special order merchandise or custom-built equipment requires longer lead-time. Large orders and assembled whole house units are shipped via common carrier, stretch wrapped on a pallet. We do not ship to P.O. boxes. Non-stock items are usually drop shipped. In 2011 Congress enacted the Reduction of Lead in Drinking Water Act to amend the Safe Drinking Water Act's section regarding the use and introduction into commerce of lead pipes, plumbing fittings or fixtures, solder and flux. The Act established a prospective effective date of January 4, 2014, which provided a three year timeframe for affected parties to transition to the new requirements. All of the metal fixtures and fittings sold by H2O Distributors are compliant with this act. H2O Distributors is proud to feature American-made products on its web site. All such products will be marked with a icon. When prices are not shown on the product detail page, add the item to the shopping cart to view the price. To see our "in-store" price on this product, you must add it to your Shopping Cart by clicking the Add to Cart button. Please be assured that adding an item to your cart does not obligate you to purchase it--you can always delete the item from your cart. We are required by the manufacturer to do this to conform to their new "Minimum Advertised Price" (MAP) policy. NSF is widely recognized for its scientific and technical expertise in the health and environmental sciences. Its professional staff includes engineers, chemists, toxicologists, and environmental health professionals with broad experience both in public and private organizations. NSF certified products will be marked with a symbol. NSF has earned the Collaborating Center designations by the World Health Organization (WHO) for Food and Water Safety and Indoor Environment. Fitting grips before it seals. Ensure tube is pushed into the tube stop. Push the tube into the fitting, to the tube stop. The collet (gripper) has stainless steel teeth which hold the tube firmly in position while the O-ring provides a permanent leak-proof seal. Pull on the tube to check that it is secure. It is a good practice to test the system prior to leaving site and/or before use. To disconnect, ensure the system is depressurized before removing the tube. Push in collet squarely against face of fitting. With the collet held in this position, the tube can be removed. The fitting can then be re-used. The Water Quality Association's Gold Seal Certification Program is dedicated to providing public health and safety services throughout the USA and globally, while maintaining expert service, superior reputation, and fair pricing. The Gold Seal Program offers certification of all products and chemicals that contact drinking water. WQA certified products will be marked with a symbol.